TEX Rail. There. I said it. Something that I have picked up on in many conversations lately is doubt. I think I understand where it’s coming from. My generation is used to hearing about all of the phenomenal things that we will experience in our lifetimes, only to have seen those prophecies fall by the wayside as we we’ve gone through life. Yes, we have done great things in this country, particularly with regard to space travel and technology. What started out with microwave ovens, Teflon®, and earth orbiting space vehicles has evolved in a very short period of time to legitimate expectations of actual commercial space travel, Teflon® umbrellas in the town square and GPS enabled cell phones for everyone. It seems like all of the technology advances have so far exceeded our expectations that we now expect that breakneck speed of advancement to continue, and it probably will. What about lifestyle changes, patterns of human behavior & interaction, where we live, how we work or how we spend our time? In the past 40 years there have been some changes, but nothing severe. We pretty much do the things we always have done, with the same groups of people we have always hung with in the very same places in much the same way we always have, except with iPads and cell phones in our hands. They swore up and down to me in middle school that we must learn the Metric System because the USA was going to adopt it. Didn’t happen. We’ve heard about lots of things to expect like jet packs and world peace that we are still waiting for. 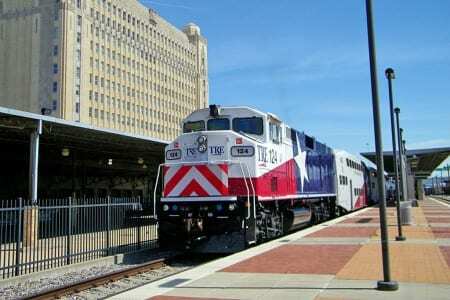 The most local thing of this type that I can think of is commuter rail in Fort Worth Texas. My initial reaction involves skepticism and doubt. Those are the kinds of responses I hear from people frequently when this local issue is raised. We have heard about all of the struggles, hurdles and opposition so we think commuter rail in Fort Worth Texas is like the Metric System; not gonna happen. If you believe that I would say you are wrong. Commuter rail will serve this city and it’s residents well and it is on the horizon. A fundamental change is happening right now in the way decisions are made by the powers that be. Let me stop here and say that I am not completely naive about the way the movers and shakers move and shake. The affluent people in our society will always have their moments of conquest and businessmen and citizens will always be at odds with “city hall” about something, BUT some things have actually changed in this equation, in part because of the rapid advancements in technology. Information cannot be as easily buried today by people with a few bucks and an agenda. Community needs percolate up and overflow in full undeniable view of everyone and the collective community is adapting to this change. Just like our comments and complaints are now amplified by websites like TripAdvisor and Angie’s List, our civic and community concerns are gaining voice through blogs and online social connections in such a way that daylight hits every crack and crevice of our social existence. National, State and Municipal matters including federal spending, social policies on racial equality, gay marriage, public education, public transportation and more are now getting a true vetting in the public eye. Big changes are happening because entrenched selfish local interests can no longer cling to their teetering fiefdoms by financing a marketing campaign or a political campaign or a whisper campaign to sway public opinion. Public opinion now relies on organic information. Now empowered by technology consumers, voters, government and civic leaders are on more of a level playing field and they are forced to make decisions that are formed around truth rather than perception. Truths like schools are better controlled by local communities, racial minorities are as likely to be a good neighbor to you as the neighbors that look like you and gay couples can raise happy well-adjusted children as well as traditional couples. Heavy issues like these are actually in the same bag as commuter rail. The misdirection tactics of opponents have been obliterated by the undeniable, now obvious truth: people gotta be able to get from place to place in a logical way. If that damages your property value or sense of community then you should have purchased property or joined a community where sharing and mutual respect are the bedrocks and not protectionism and suspicion. I know they spent a lot of money to build DFW airport and it has been a huge economic boon to both cities. To the extent however that we protect the investment today to the disadvantage of many in the community it serves we are wrong. It’s obviously these old school economics that have kept direct access via modern transportation by the citizens of Dallas and Fort Worth an illusive proposition. The loss of parking revenue to DFW airport may or may not be balanced by the increased usage of the facility if you could travel to it by light rail. I don’t know, and it doesn’t matter anyway. Forcing people to drive big old gas guzzling cars and pay exorbitant parking fees, ride expensive taxis or jump through hoops to get there by public transportation only serves one single purpose: profitability of the airport. The cities of Dallas and Fort Worth have figured out that the usefulness and accessibility of the facility we paid for is a consideration that must come first and they will figure out how to meet that purpose AND maintain the airport as a financially viable enterprise. 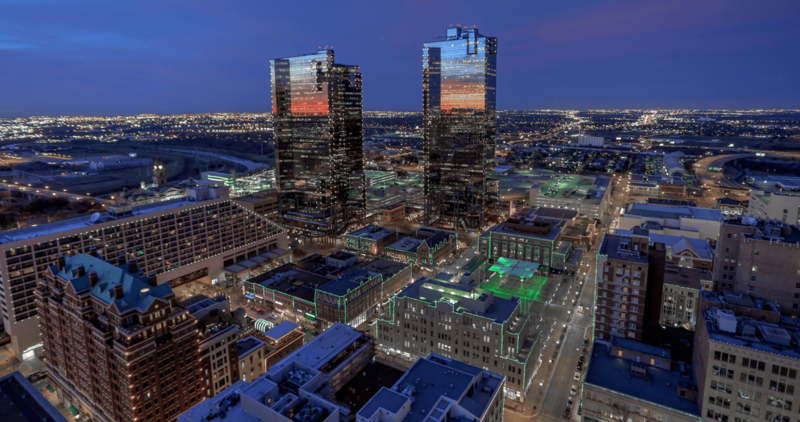 A conventioneer visiting either Dallas OR Fort Worth should be able to travel from either place to the other or get to the airport without spending half a day and all of his money. It costs $50 plus tip to go from the Fort Worth Omni Hotel to DFW airport by taxi. The TRE is nice but it’s not so easy for visitors to figure out. They made it that way because it keeps the cabs and high rent DFW parking lots full. Next December The Dallas Area Rapid Transit (DART) will open the Orange Line extension to DFW terminal A. Expect to see the TEX Rail station at Terminal B soon after that which will finally link passengers DIRECTLY to The Fort Worth Intermodal Transportation Center and the T&P Station. It will not be much longer before you can get on TEX Rail at DFW Airport and blast straight past the T&P via light rail to your home in Summer Creek Ranch way down on the other side of I-20. Sure, there will be lots of public hearings between now and then but the organic truth that public transportation is good for people, the environment, tourism and community will quash the concerns of local neighborhood associations. What if folks from a different socio-economic class, race or nationality disembark from the public transportation and walk in front of my house? What if they buy a house next door to me? What if their kids play with my kids? What if one of their kids marries one of my kids when they grow up? I Admit these arguments sound ridiculous and wrong, but those are the arguments that will have to be made now by anyone opposing quality public transportation in any community, and for that reason public transportation is on the horizon in Fort Worth Texas. Here is the proposed Route from Summer Creek Ranch to downtown, continuing to the North side, Haltom City, North Richland Hills, Grapevine and finally to DFW Airport.